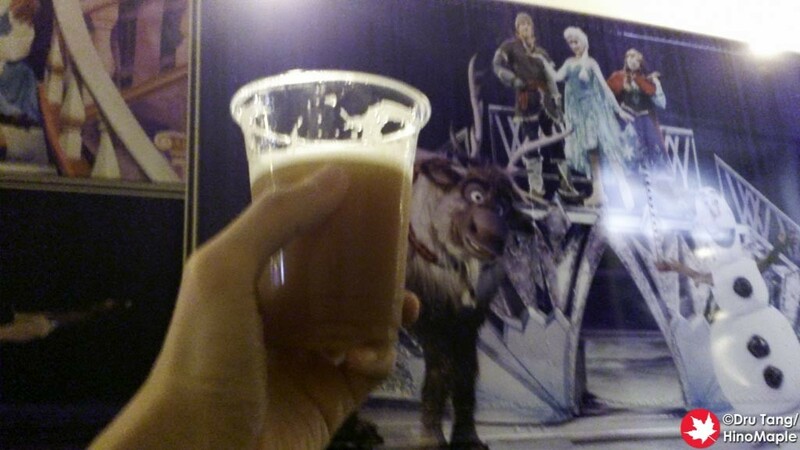 In spring I went to the Beer Keyaki for the first time and I loved it! There were dozens of craft beer shops and some foreign shops too, so I made it a point to try to get out to the Beer Keyaki again for the autumn edition. This year, the Autumn Keyaki was held during Silver Week, and this year we had a special Silver Week as we had 5 days off in a row. 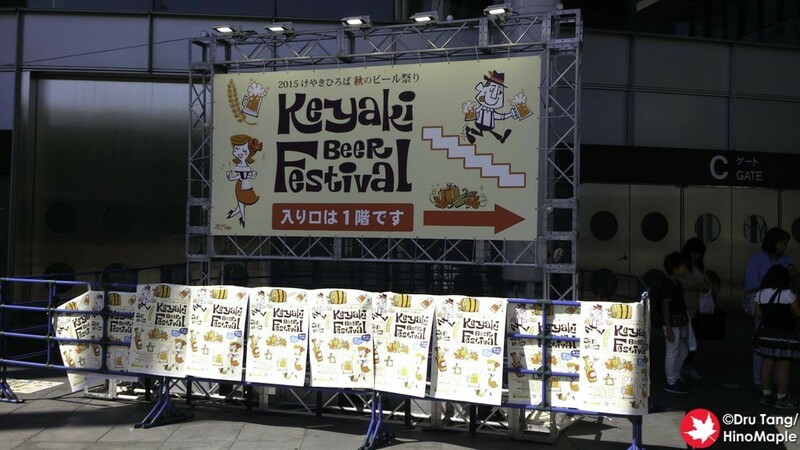 As I mentioned, the Beer Keyaki is a special craft beer festival that is held twice a year in Saitama. In spring, the festival is held outside, but for autumn, they hold it inside. This may change for future Keyaki events, but I was a little sad that they moved inside as the outdoor festival was a lot of fun. When you head to Saitama Super Arena, the entrance to the Keyaki is on the first floor. I made a small mistake and got a little lost looking for the entrance, but stumbled upon a good view of the entire Keyaki before I headed in. The autumn Keyaki felt a lot smaller, yet bigger at the same time compared to the spring Keyaki. 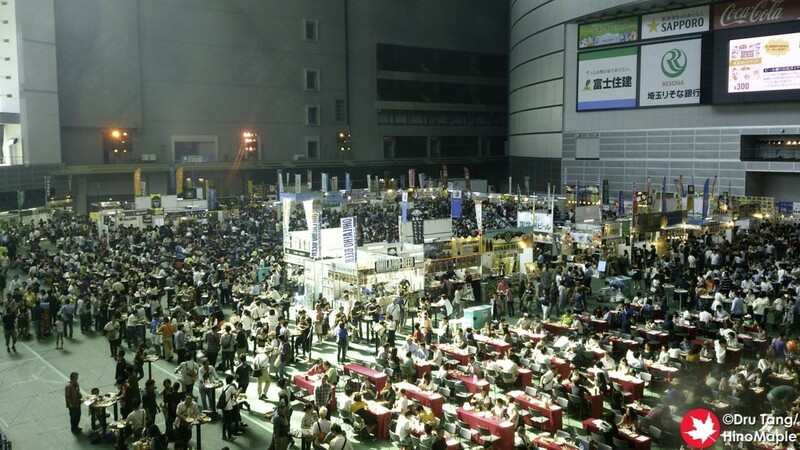 They only took up the Community Arena of Saitama Super Arena. I learned after the fact that the stadium actually transforms and there are two sections, the bowl and the Community Arena. The bowl can actually expand into the Community Arena but during the Keyaki they took up the Community Arena and another event was held in the bowl area, I think. The usual craft beer breweries and restaurants were at the Keyaki, but there were fewer shops overall due to the smaller space. The tall roof made the event feel bigger and they had two sections of tables with standing tables scattered in every other corner. I was lucky enough to grab a small standing table where I was able to enjoy several beers and a lot of good food. A lot of people head into the arena in order to get a beer and some food before heading outside to sit down. As I was leaving I noticed that they set up a small room for people to bring tarps in order to sit and enjoy the area inside a conference room. It is a really nice setup but compared to the spring event, it wasn’t as enjoyable. There is something different about being outside and enjoying the fresh air. The main benefit of holding the Keyaki inside is that there was actually more space to move around unlike the outdoor event. While it wasn’t as “enjoyable” as the spring event, I still had too much fun and probably too much beer. 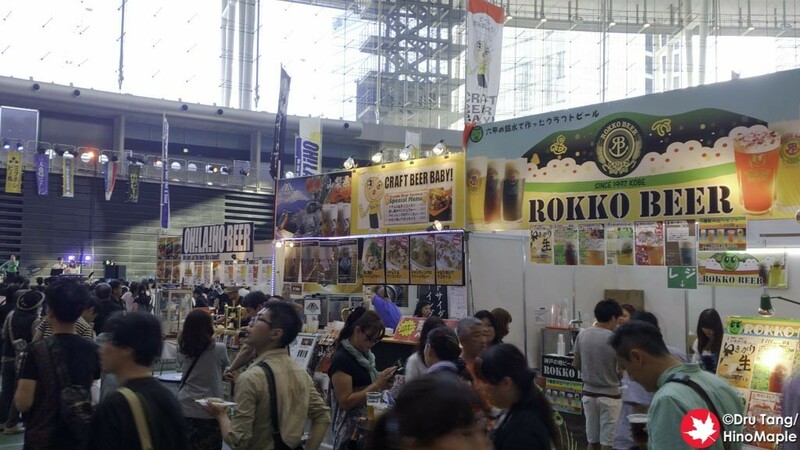 I wouldn’t say it was a bad event as it is still much better than the other beer festivals happening in the Tokyo region. The only downside is that it is located in Saitama which means it is hard to get to for a few people but it is worth the trip. Hopefully I can make it out to the next one too! 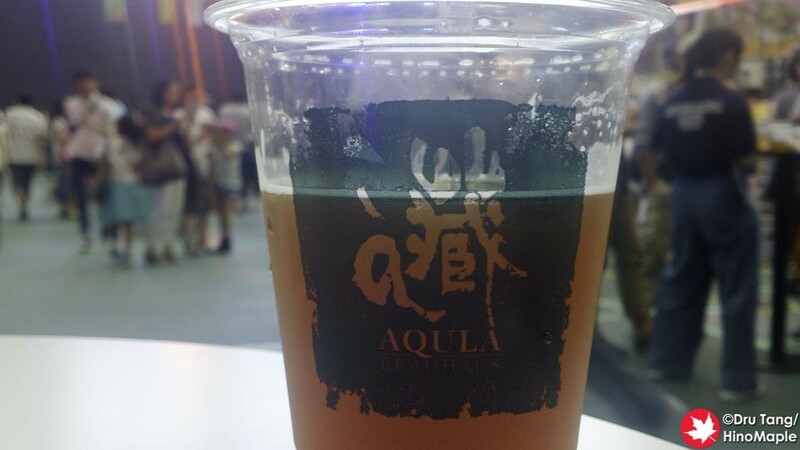 This entry was posted in Festivals and tagged Autumn Beer Keyaki, beer, beer festival, Beer Keyaki, craft beer, Craft Beer Festival, festival, japan, Kanto, Saitama, Saitama Super Arena, Silver Week by Dru. Bookmark the permalink.